Dr. David Burns, who created and copyright The Burns Depression Checklist (a rating scale for depression that I frequently use in my office), is an adjunct professor in the Department of Psychiatry and Behavioral Sciences at the Stanford University School of Medicine. 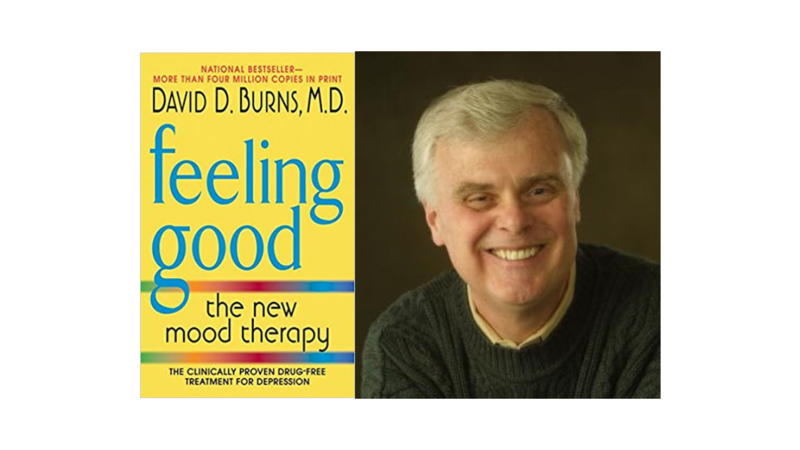 Additionally, Dr. Burns has authored the following best-selling books: When Panic Attacks, Feeling Good: The New Mood Therapy, and The Feeling Good Handbook. Look out for his next book, Feel Great, which he is in the process of writing. I’m so excited to read this one! Dr. David Burns utilizes a mixture of Cognitive Therapy, Behavioral Concepts, and Buddhist principles and foundations into his incredible work. In this episode of Your Anxiety Toolkit Podcast, Dr. Burns teaches us how to better approach our faulty cognitions that cause depression. He says that 50% of anxious people will be depressed and 100% of those with depression have anxiety. I am sure that you will find the following both inspiring and interesting: Dr. Burns strongly believes that a lot of our depression is directly related to our faulty thoughts. The idea is that if you can change the way you think, you can change the way you feel. As Dr. Burns says, while the faulty thoughts of depression and anxiety feel so real…they are not. They are fraud, distorted, and not true. They create pain and misery. In this episode, he teaches us how to make use of strong, powerful statements to correct our faulty thoughts by countering the incorrect content of these thoughts. Dr. Burns provides an example of this: if you are feeling better, but think you may slide back into a relapse with faulty thoughts, think about powerful things you can say to yourself when the distorted thoughts come back. You can say something like, “I have learned many tools in therapy thus far and I will use the tools that have been effective for me. It’s okay if I stumble, but I will be absolutely persistent with the tools that I learned." The themes of helplessness, hopelessness, and worthlessness are addressed in this episode. Please note that Dr. Burns makes specific points about medication, but I highly encourage you to talk to your doctor to ensure that your medical and medications plans are best suited to you. Each person needs specific care, as we are all different. Depression is caused by thoughts. If you can change the way you think, you will change the way you feel. Recent studies researched Feeling Good, to test if it clinically helps those who are experiencing depression, and results showed it is highly effective for those who suffer from depression. How he conceptualizes recovery as either 100% recovery (where all symptoms are gone) and 200% recovery (a stage and experience of enlightenment).